Attention Grey Breeders! West Penn proudly offers this opportunity for you to add to your breeding program this stunning young dark female. A full sibling to Lot#? ?, WP Supreme Chaa Chaa is a fantastic representation of some of the alpaca industries most celebrated genetics. 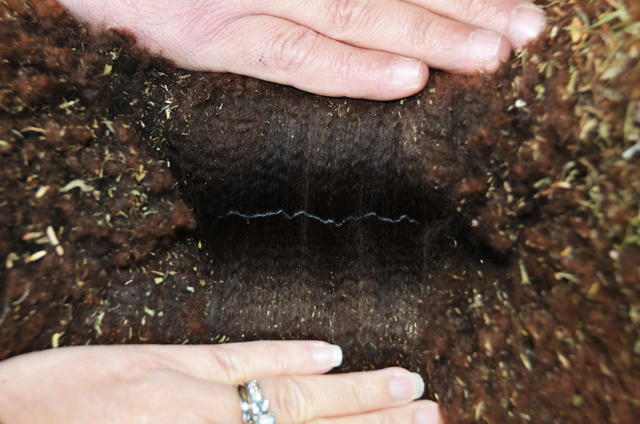 Her Sire, 2AF Peruvian Zeus is an phenomenal Herdsire out of some of the top bloodlines across the country. Zeus has played a most pivotal role here a West Penn in our foundation stock. Chaa Chaa’s Dam, Grand River Chalina, out of Dark Shaddow, has been a linchpin in dark, high quality production here at West Penn and we expect the same of Chaa Chaa! She comes to quality from both sides of her pedigree bringing a bold yet petite frame from her dam and density from her sire and the super fine and controlled character and superb density of her grandsires to create this master blend of beautiful! Don’t miss this rare opportunity to add these rare grey genetics to your own breeding program for definite future grey foundation quality. Add WP Supreme Chaa Chaa to your foundation breeding program and watch her do wonderful things for you! 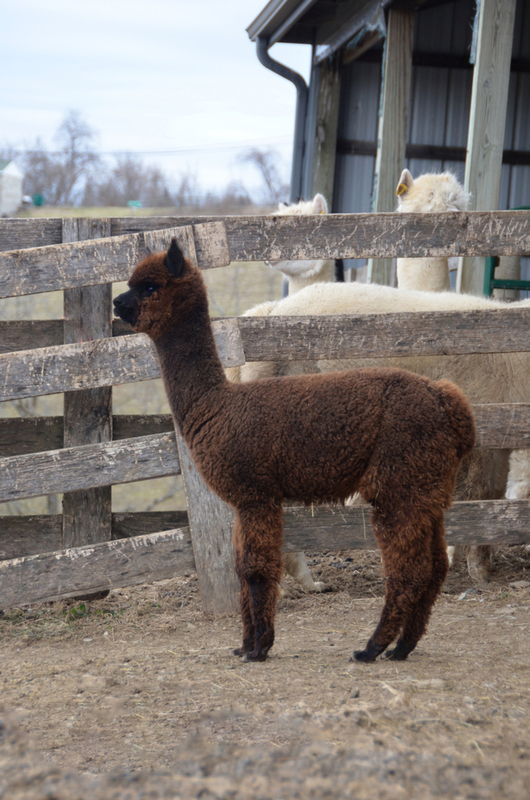 Lola will be offered with her maiden breeding to any West Penn Alpacas herdsire of your choice. We would recommend multiple Champion and Judges Choice himself, WP Supreme Justice. Don’t let this amazing opportunity pass you by!